Ah, learning how to spin – is there anything better? After all, what else allows you to exaggerate and get results without doing (all) the work first? Spinning your way to success sometimes works in investment banking, but it can easily backfire, depending on the situation and how you do it. The previous version of this article generated a lot of “interesting” (read: bad) ideas in the comments, so I wanted to revisit it and update the tips. Why Do You Need to Spin? Easy: because it is not always in your best interest to tell the truth, the whole truth, and nothing but the truth. For example, if you failed to receive a return offer from your last internship because you kept showing up to work hung over, you probably don’t want to say that. And if you completed an internship where you did “real work” for only 1 week and played video games for the other 9 weeks, you also don’t want to tell the whole truth. A job interview is a sales presentation, and you never want to draw attention to your flaws in such a setting. Your GPA and standardized test scores. Your language skills (a native speaker can verify your claims in ~15 seconds). Your employment dates and job titles. Answers to specific math or technical questions – if you don’t know how to calculate WACC, you can’t “make it up” during the interview. Whether or not you have a job offer or return offer from another bank. Your university, major, and graduation date. Your Spark: What made you interested in finance originally? How long ago did you become interested? It’s nearly impossible to verify this story. Unaccounted-for-Time: What did you do every day in your previous internships? What about during that 3-month gap on your resume? Trends and Improvements: Maybe your grades suffered because of your recent performance… but if the interviewer doesn’t have your transcripts, he/she doesn’t need to know that. Preparation for IB: Only started studying accounting and finance a month ago? No worries… if you can answer the questions correctly, you can say you’ve been preparing for much longer. “Self-study” is impossible to verify. Positive/Negative Results on the Job: You didn’t receive a return offer? It’s difficult to verify what happened, so you can spin your story… within reason. Some of the points above are “grey areas” – especially the last one about why you did not receive a return offer. But the main grey area is what you did in previous jobs/internships. This one often gets people in trouble when they go too far with the exaggerations. For example, no one will believe that you “sourced deals” as an intern, even at a boutique bank. Even if you did bring in a deal, it’s usually just a code word for “nepotism,” which can come across as a negative in an interview. 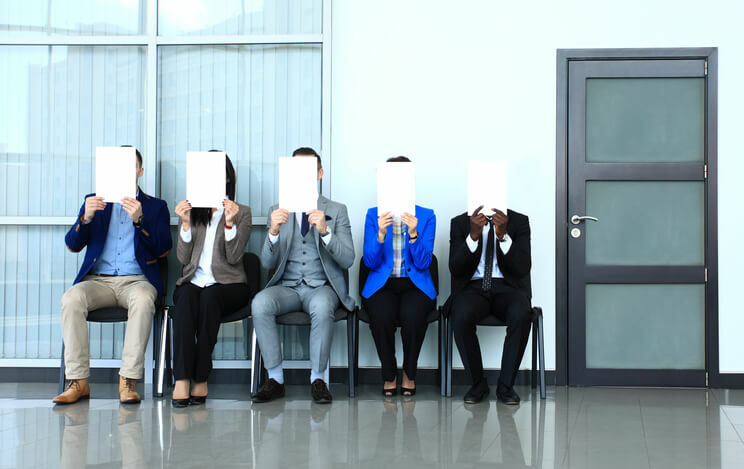 Candidates can also get in trouble when they heavily spin back or middle-office experience into sounding like front-office work. You can do that to some small extent, but you have to be careful with your job title and the exact language you use (examples below). This strategy is often helpful for explaining why you didn’t receive a return offer – just omit the “I showed up to work hung over every day” part – and for making useless internships sound useful. You can also use this strategy to improve your story by eliminating negative information. For example, if you hated your Big 4 audit job because the work was dull and repetitive, you shouldn’t mention that in your story. Instead, say that you wanted to take a more proactive role advising clients on their future activities rather than assessing historical performance. This one has “hedged” in front of it because if you exaggerate, you must be careful about your language. You can use words like “led to” or “supported” or “resulted in” to make it clear that you were not directly responsible for everything. For example, you shouldn’t say or write something like “Negotiated 10% lower purchase price for client” because as a junior-to-mid-level banker, you don’t “negotiate” anything. However, you can say that you supported the senior bankers in this negotiation by completing the valuation and finding the histories of comparable deals. This strategy is useful for explaining unaccounted-for time such as gaps in your resume, study-abroad programs, and do-nothing internships. If you “studied abroad” in Tokyo for a year and spent 90% of your time drinking and watching robots fight each other in a restaurant, focus on the 10% of your time in which you studied the language or met interesting alumni working at banks. If your internship consisted of fetching coffee and browsing the web, focus on those ~2 days where you helped find potential buyers for a client. This one is often useful when you screwed up or started an important process late in the game, and you don’t want to explain the full details or timing. For example, if performed poorly in your classes because of family or health issues, avoid mentioning that – bankers have heard it 55,623,182 times – and simply admit that you screwed up in your first year but have improved since then. This strategy can also explain why you became interested in finance late in the process: create or embellish an “event,” such as an internship that convinced you to switch, or an alumnus that made you change your mind. If you win an internship or job offer, you’ll often be tempted to trade up and go for something better. And that strategy can work… within reason. But it can also backfire if you fail to understand the limitations of how to spin. For example, in one recent story I heard, a student, the day before his Superday at Bank A took place, called Bank B and claimed that he had already won an offer at Bank A. People at all the big banks know each other, so within 10 minutes, everyone at Banks A and B had confirmed that he was lying. Luckily for this student, he had an advocate at Bank A that prevented him from getting tossed out, but he could have easily ended up with canceled interviews at both banks. In another story, a student won an offer at Bulge Bracket A and then leveraged it to win an offer at Elite Boutique B… which he then tried to leverage into an offer at Elite Boutique C.
He thought that he was “secretive” about this effort, but again, everyone at these firms knows each other, so they caught on quickly and gave him direct advice to stop. If you want to move from Bank A to Bank D, you should do so directly; don’t go through Banks B and C first. Also, if you need more time to decide on an exploding offer because you have interviews elsewhere, partial honesty is often the best policy (as opposed to BS excuses like lots of exams or busyness with school). With this one, let’s say that you have credit risk experience at a large bank, which is normally considered a middle-office role. You spend time analyzing clients’ financial statements and conducting due diligence, but it’s not exactly “deal work” in the way bankers think about it because you only look at specific, small parts rather than overseeing the entire deal. You could easily get in trouble here if you tried to spin this experience as “capital markets work” and pretend that these are the same as deals in DCM or LevFin. For example, it’s fine to say that you found an inconsistency in the client’s statements that affected its creditworthiness, but you should not claim specific fundraising results from that client’s offering. You want to tell the technical truth and give visual signals that your experience is relevant, but you don’t want to make straightforward claims that might be questioned or refuted. It’s not just an issue of background checks, where they typically verify your employment dates, job title, and basic responsibilities. Instead, exaggerating your experience a bit too much, as in this example, could result in problems if the interviewer ever does an “informal background check” by calling contacts at your firm or challenging you in the interview. And yes, I’ve seen candidates get their offers rescinded for going too far with the exaggerations. We have an entire article about what to do if you do not receive a return offer. You’ll have to do the networking legwork and normal preparation to apply for other roles, but you can use your knowledge of how to spin to explain why you didn’t get an offer. If no interns received return offers, or your group collapsed, or the firm shut down, then you have an easy story to tell. Non-IB Roles: Say you didn’t fit in with the culture of banking and found it was not for you, and they realized that, too (omit your mistakes and re-adjust the focus to the culture). Other Banks: Admit that you made mistakes in the beginning, or that you did not have solid technical skills, and say that a negative first impression cost you the offer, even though you improved later on (a “Before/After” Narrative). You can get away with quite a lot when it comes to explaining gaps on your resume because it’s almost impossible to verify anything. There’s no company or university to call, background checks won’t work, and the interviewer is unlikely to know anyone from the activities you list. My favorite story came from a reader who was unemployed for half a year and took time out to volunteer on an organic farm as a shepherd. He only showed up occasionally (maybe a few weeks total of full-time work), but he still listed it on his resume and explained how the lessons he learned from sheep farming also apply to project management. In another story, a reader was laid off and spent a month or two doing absolutely nothing. He had experience in internal strategy at a retailer, so he went around to survey struggling retail locations in the area and came up with recommendations for them. This effort only took a few days, but he still spun it as an “independent research project” and used it to win consulting offers later on. There are very few good explanations for low grades, as you saw in the article about low grades in investment banking. If you use any of the traditional explanations – switching majors, supporting your family, saying that someone died, or arguing that your university had grade deflation – bankers will respond by questioning your ability to do the job. The only not-completely-terrible ways to explain a low GPA are to re-adjust the focus by pointing to your strong results in internships/jobs or to create a “Before/After” narrative to explain that you messed up in your first year but have improved since then. But even with these strategies, you have to be careful if the bank has your transcripts – pointing to a poor first-year performance won’t work if you earned all C’s in your most recent semester. Outside of these strategies, you can also reduce the impact of low grades by re-adjusting the focus to high test scores, a solid performance in a continuing education program, good accounting/finance grades, and impressive stock pitches or research reports that you can use for networking purposes. I have seen candidates with lower GPAs win investment banking offers, but they’ve almost always used one of these strategies to do it. How to Spin in Interviews: Curveballs or Straight Pitches? Learning how to spin is essential not just for networking and interviews, but also for advancing on the job and winning buy-side roles. The cardinal rule is that you should never lie about or exaggerate something that can be easily verified, such as your return offer status, GPA, job title, or employment dates. On the other hand, you can get away with a lot when you discuss something that no independent source can verify, such as what you did during a 3-month gap in between jobs. The biggest “grey area” is describing your tasks in previous internships and jobs. There, you can exaggerate what you did within your role, but you should not try to make it sound like a different role (e.g., back/middle office to front office). You can also omit facts to make it look better, but you should stay away from claiming “results” that don’t match the job description. Do all that, and you might be able to spin a winning pitch. Hi Brian, Should I put my past experience as “corp fin intern “if the job scope is very corp fin but the company(Big 4) calls it a management intern ? I think that’s probably fine, but maybe put Management Intern in parentheses next to it. You mentioned in your other article about checking with you on whether we are over-spinning our experience. Currently, work in a PE FoF. I am trying to spin my direct equity co-investment experience as M&A experience. Trying to use this to recruit for IB and PE gigs. If you really worked on co-investments, then they should count as deals. But I think you should be spinning them as “LBO experience” unless I’m missing something here. This is probably a 2 / 10 on the spin scale, i.e., much safer than most ideas I’ve heard. Many thanks for the reply. Would try that out. The catch here is that I don’t actually build the models, it is the general partner who builds it. All we do is tweak the assumptions. Would this be an issue if the interviewer finds out about this? I figured I could learn modeling myself so shouldn’t really be an issue? I don’t think it’s an issue as long as you can explain the process. Maybe try to re-build the models yourself starting from a blank sheet or template so you can point to that if they ask. I doubt they would know or find out something as detailed as who builds the models vs. who tweaks them. Thanks for these articles. They are helping me get through my current career switch. I’m looking to apply for an IB internship with a bank that works mainly in M&A. I just started junior year with 0 internship experience (due to two degree changes) and my job experience is limited to retail and a small local coffee shop. I have good grades (3.71) and I do a fair amount of self study. Should I focus my resume and cover letter on my grades and self study or should I spin my job experience to make it sound project based. Focus on your grades and self study because no amount of spinning could make retail/restaurant experience sound more relevant for finance roles. You can certainly emphasize on the financial aspects of those roles, but you’ll be a stronger candidate if you focus on the other parts. Thanks for doing this Brian! Its very helpful. I have a question if you dont mind. Lets say analyst X has a really bad GPA and they are already in banking. This particular first or second year analyst interviews elsewhere and they ask for transcripts. Hypothetically does having the FINRA licenses count as the person knowing their stuff (even though some shops need their junior people with them anyway)? The CFA is pointless for banking and going back to B-school would be helpful if someone didnt break in a bigger bank in the first place. I don’t think having the FINRA licenses will completely offset a bad GPA in undergrad if that is your question. They might help a bit, as will deal experience, but questions about your GPA are always going to come up, at least if you interview for entry-level roles.